Inequalities in health between people with a lower and higher socioeconomic position have been found all around the world, including in European countries with highly developed welfare systems. 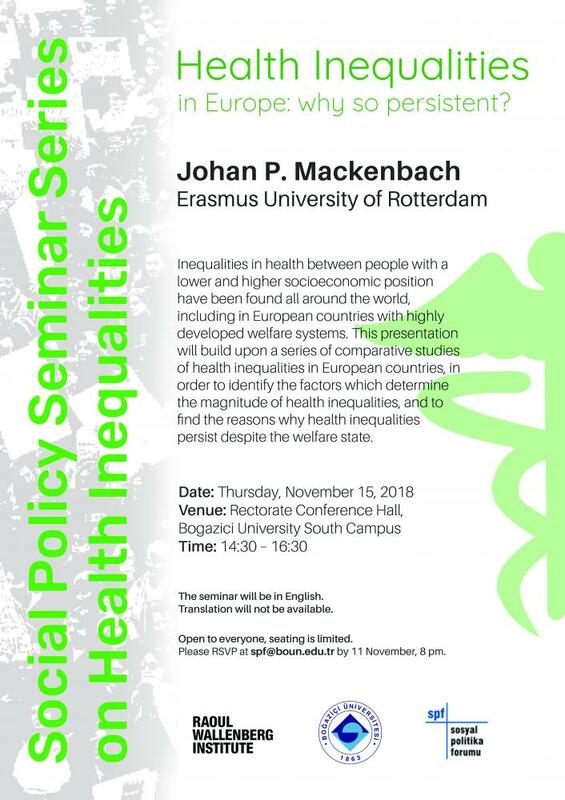 This presentation will build upon a series of comparative studies of health inequalities in European countries, in order to identify the factors which determine the magnitude of health inequalities, and to find the reasons why health inequalities persist despite the welfare state. The seminar is open to everyone and seating are limited. Please RSVP at spf@boun.edu.tr before November 11, 8 PM Istanbul time.